Dr. Allen Alper:	This is Dr. Allen Alper, Editor-in-Chief of Metals News, interviewing Mickey Fulp, the Mercenary Geologist. Mickey, could you fill us in on your thoughts on the marketplace? What's happening? Mickey Fulp:	The marketplace, at least for junior resource stocks, is in the crapper right now. And that's not surprising. We're in the summer doldrums; gold hit a 52-week low today at $1212. It's bounced since then on a Trump tweet, but we're looking at copper, lead, and zinc at or near 52-week lows. So the commodities sector is suffering a bit. But that means resource stocks are on sale, so who doesn't want to buy when things are on sale? Dr. Allen Alper:	So do you think now is the time people should do their research and look at resource stocks to buy? Mickey Fulp:	Absolutely. I'm not going to tell you they're not going to go lower, because they may. But I never really understood why people who speculate in the stock market want to buy things that have already gone up or are going higher, higher, and higher. It doesn't make any sense. When you go shopping, you buy things on sale. Do you not? You look at it and say, "Oh, well this is on sale, and I've always wanted one of these" and you're really happy because you bought it on sale. Why wouldn't people want to do that with stocks, and why don't they? It's really counter-intuitive. It says something about the human psyche and the psychology of the masses, as Mr. Dines so often points out. With financial instruments, people want to buy things that are high priced or going higher or have already had their run. I guess they extract some comfort from the idea of knowing that if everybody wants it, they should have some, too. It's almost like keeping up with the Joneses. But that doesn't make any sense, does it? Dr. Allen Alper:	I don't think so. What resource areas and metals do you think are of interest now? 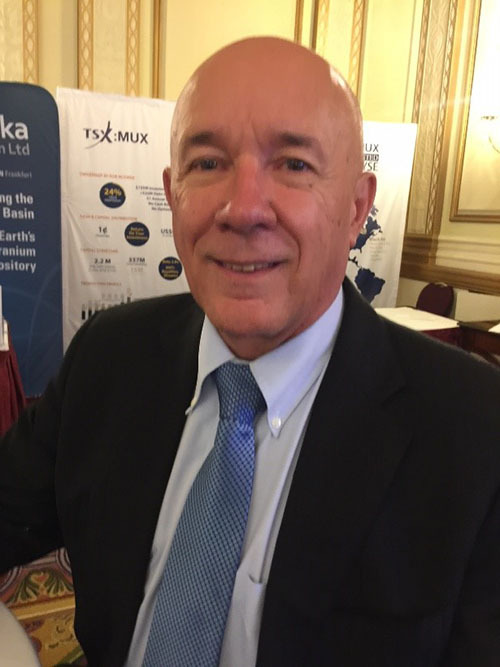 Mickey Fulp:	I'm focused on gold and copper and uranium right now. Sectors that are temporarily beaten up. With patience, some of those stocks look like buys to me right now. Dr. Allen Alper:	Are there any specific companies you would suggest that people investigate? Mickey Fulp:	I will mention two companies that I cover. First up is Trilogy Metals Inc. We initiated coverage in May 2017 at US 66 cents. When I looked yesterday, it was at a $1.74, so it's already had a really good run, but I think that will continue. I have a bullish outlook for that company and it has not suffered despite the significant downturn in copper price over the last month. So that might be something that people should look to add to their positions on any weakness. The other company I cover is Ely Gold Royalties, a hybrid prospect generator / royalty company in Nevada. It has a market cap of about $9 million Canadian, selling for plus or minus 11 cents. I look at Ely as a buying opportunity as it is transitioning more to a cash-flow positive royalty model but is still being valued as a prospect generator. Both of these companies sponsor my Web site and I own significant share positions so I am biased. Dr. Allen Alper:	Now, how about in the uranium sector? Anything? Mickey Fulp:	The uranium price is starting to go up with supply destruction and very strong support now coming from the United States government. I have long-term positions in the domestic uranium sector held for quite some time. My focus is on uranium producers or near-term producers and developers in the U.S. So I'll leave it at that for now. Dr. Allen Alper:	Are there any other areas or companies that you would suggest looking at? Mickey Fulp:	I'm continuing to look at my favorite sector and place, gold in the western U.S. There are fundamental reasons still to be excited about some companies in this region. They're doing advanced exploration on past-producing mines with previously drilled resources. With an expedited permitting and regulatory environment coming from the Trump administration, these projects and companies look good to me. I’m reviewing some copper opportunities and focused on the Americas right now; perhaps not so much in Canada, but certainly in the U.S., Mexico, and specific countries in Latin America. Dr. Allen Alper:	What are your thoughts on juniors, versus intermediates, versus seniors? Mickey Fulp:	I'm an economic geologist, so I focus on explorers and that's the junior sector. The only miners I own are legacy companies, where I've had an exploration company graduate to become a mining company, or had an exploration company taken out by a mining company. Mining is a tough business and it's not my bailiwick. I prefer to play the explorers despite their high risk as they offer the highest potential rewards. Dr. Allen Alper:	Now what do you think of prospect generators versus others. Mickey Fulp:	I own three prospect generators; Ely Gold Royalties is one. Prospect generators are a mixed bag; a few have been successful but the majority have not. I think advanced explorers, companies with resources or companies that are on the verge of posting resources oftentimes offer the best leverage in the business. I also want these companies to have a pipeline of prospects in various stages of exploration as most projects eventually fail. Dr. Allen Alper:	What do you think of royalty companies? Mickey Fulp:	The royalty and streamer group is the only sector directly involved in the mining business that has been profitable over the last 15 years. So certainly those are attractive companies if their valuations haven't gone up too much already. Regarding the large royalty/streaming companies, most are highly valued. So I come down the food chain to smaller companies that have not run up. Ely Gold Royalties is a hybrid prospect generator / royalty company. It’s small now, but will certainly be a target of the bigger boys as it grows. Dr. Allen Alper:	What are your thoughts on what's going to happen in the future in the markets going into the fall and next year? Mickey Fulp:	We're in the seasonal low for commodities prices. For gold, that usually turns on Labor Day. A lot has to do with the strength of the U.S. dollar. The dollar is up about six points since mid-April. Gold is down a bit more than that. Commodities are priced in U.S. dollars. So I would hope for a weaker U.S. dollar in addition to typical seasonal uptrends in the fall. President Trump is repeatedly on record as wanting a cheaper U.S. dollar as that makes our exports more valued. Dr. Allen Alper:	Is there anything else you would like to add that I missed? Mickey Fulp:	Stay the course. I view temporary downturns in the commodities and junior resource sector as buying opportunities; now is my time to buy. You don't want to buy when stocks are moving up and up and up. You want to buy when they're unknown, unloved, unwanted, and undervalued. Dr. Allen Alper:	Thank you, Mickey. I appreciate you sharing your knowledge and insights. Mickey Fulp:	Always my pleasure, Al.